Dennis Martinez was already one of the stars of the 2008 movie, D.O.P.E. Written by Brian Stewart, narrated by Danny Trejo and featuring music by Switchfoot, P.O.D. and Arrested Development; D.O.P.E. takes a look at legendary skateboarders as they achieve worldwide fame by winning world championships and then descent into the world of drug addiction and crime. This moving documentary is geared as a warning to those who are considering drug experimentation. It features previously unseen skateboarding footage of some of the founders of modern skateboarding (Jay Adams, Christian Hosoi, Dennis Martinez, Bruce Logan) with additional participation from Skip Engblom and Stacy Peralta. On Oct 2, 2010 it was with Jay Adams and Christian Hosoi that Dennis Martinez, visited Sullen, and talked about their past and how they were making a huge positive impact on society today. Martinez and fellow skaters Jay Adams, Christian Hosoi and Brian Sumner are often together to participate at local outreach for youths and talk about the dangers of drug addiction. 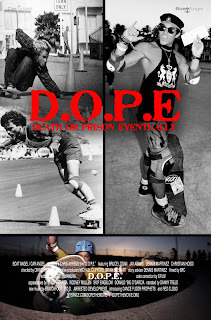 And now, Off The Wall TV’s latest chapter of Pass The Bucket is also about the involvement of Dennis Martinez, a skateboarder who dedicated the latter part of his life to rehabilitating the marginalized, the downtrodden and forgotten people of the USA yearning to breathe free. 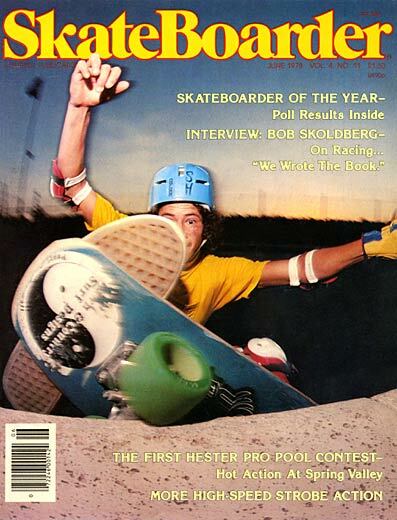 Dennis Martinez was one of the poster boys of SkateBoarder magazine, back in the 70’s. He was actually the 1977 World Freestyle Champion and 1978 U.S. Champion. At that time, Dennis was on the fast track to fame and fortune. "I was still in high school when I paid cash for a new car and paid for a full year on my own apartment," said Martinez. A superstar in the skateboarding world by the age of 16, Dennis would be toppled by a 20 year drug habit, culminating with 16 years on the needle. After making a high six figure income through his early teens, Dennis lost everything and ended up on the streets, using his small arsenal of weapons to get whatever he wanted. Today Dennis Martinez is a volunteer prison chaplain at Calipatria State Prison, a founder of Training Center, a drug and alcohol rehabilitation center in Spring Valley, California, and a pastor. Recently Dennis has teamed up with the San Diego Swat and Police forces to attack the major gang and drug problem that has arise along the border, implementing a youth diversion program. You need to see this week’s Pass The Bucket clip to hear more of Dennis’ stories and about how his efforts to provide treatment programs for those in recovery led to a 47% crime drop in the past 3 years thanks to school counseling and youth diversion programs through education, prevention, and intervention.